Mumbai: Standard Chartered has agreed to buy more than half of Barclays’ credit card portfolio at a discount to its book value, two sources with direct knowledge of the matter said on Tuesday. Standard Chartered will buy 170,000 credit card accounts in India from Barclays, which has about 300,000 customers for its cards business in the country, said the sources, who declined to be named as the information was not public yet. Standard Chartered will pay less than half of the book value of the 170,000 Barclays credit cards, which is estimated at ₹ 1.8 billion ($35 million), one of the sources told the news agency, adding that the deal was likely to be announced later this week. “Standard Chartered has bought only the performing part of the credit cards business with a good credit record, while Barclays will decide later what to do with the non-performing part of the business," the source said. Standard Chartered, which relies on Asia and the Middle East for the bulk of profits, has 1.1 million credit card accounts in India and the deal will help it garner a bigger share of the growing and competitive segment in Asia’s third-largest economy. Global banks in India including Standard Chartered, HSBC and Citigroup and their domestic rivals have been looking to expand their cards business in the country after pulling back post the global financial crisis on fears of a rise in bad debts. Fewer than 18 million of India’s 1.2 billion people use credit cards. In China, a country with a slightly higher population, more than 200 million credit cards were in use as of a year ago. Indian consumers, on the whole, have not fully embraced the idea of using credit cards, preferring debit cards instead, with roughly 230 million in circulation. Foreign banks lack the branch networks of local lenders like ICICI Bank and HDFC Bank, India’s biggest card issuers, but tend to attract the most well-heeled customers in a country where incomes are rising fast. Standard Chartered, Europe’s number three bank and one of the biggest foreign banks in India, expects growth of 30-35% in new credit card customers this year, Shyamal Saxena, head of retail banking products, had said in July. State Bank of India (SBI) Card, a joint venture between the country’s top lender SBI and GE Capital, and Standard Chartered and were competing to buy Barclays’ India credit cards business, sources had told the news agency in September. 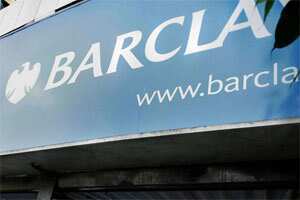 Barclays put its India cards unit up for sale earlier this year as part of a restructuring of its business in the country. Out of 300,000 cards customers, it had put 200,000 accounts with good credit record on the block, the sources had said.